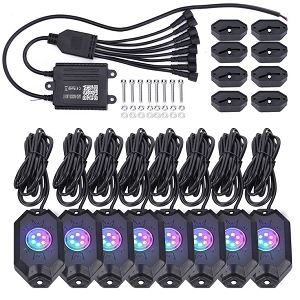 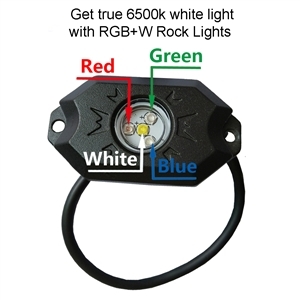 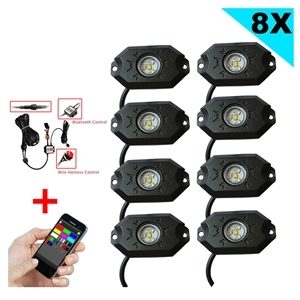 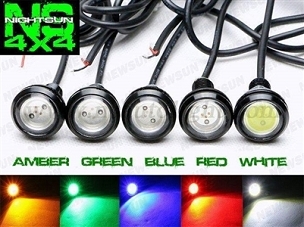 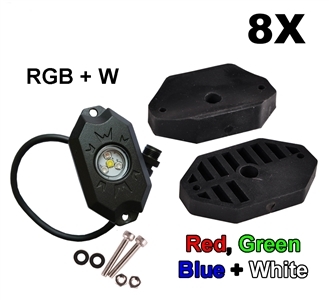 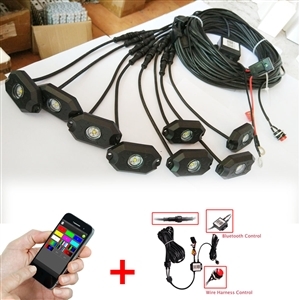 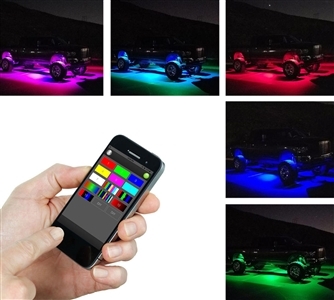 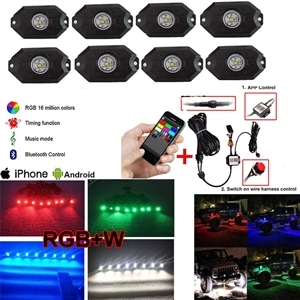 NightSun4x4 - Multi-color RGB+W LED ROCK LIGHT contains 4 CREE LEDs each (RED, GREEN, BLUE + True 6500k WHITE), The Kit is perfect for Jeep, UTV, ATV, rock crawler, boat, RV etc. 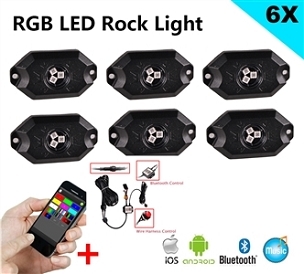 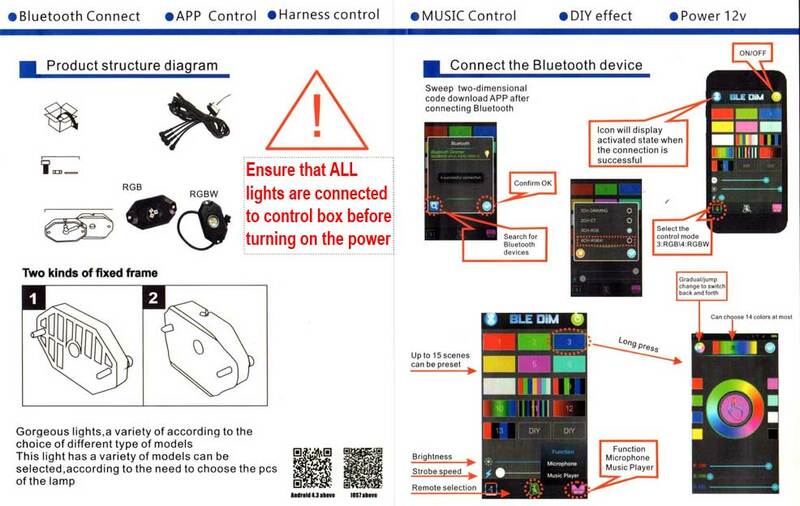 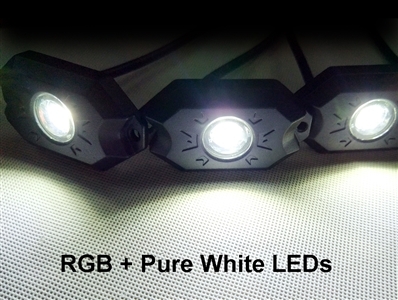 LED POD rock lights come with bluetooth controller and lead wires, custom angled and flat mounting pads, waterproof connectors. 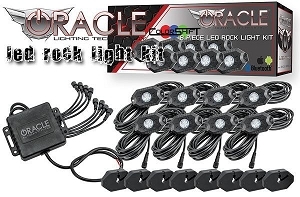 This kit has 8 RGB POD ROCK LED lights, 8 Sets Flat and Angled surface mounting pads and self-tapping screws.